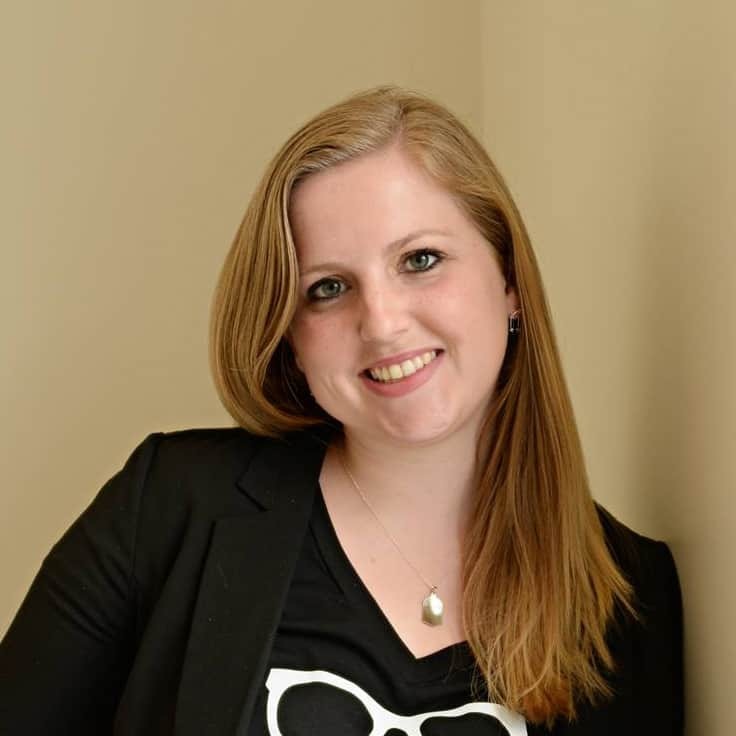 If any number of things had gone differently, 17-year-old Hadley wouldn’t have missed her first flight to London, but missing her flight changed everything. Hadley is headed to England for her father’s wedding to the “other woman,” something she is frustrated and angry about when she misses her flight. While waiting for the next flight she meets Oliver, who is witty and honest and makes her feel better about being nervous to fly. They get to know each other over the course of the flight, but when they get separated at customs, Hadley is pretty sure she is never going to see him again. I absolutely loved this book. The entire book takes place over the course of 24 hours, something I thought would make it feel rushed and incomplete, but it was the exact opposite. It tackled serious issues such as divorce, death and adultery while be honest and fresh. I really enjoyed the characters and the fun dynamic that they shared between them, and even though the book takes places over such a short time span the relationship built on itself really well. Even though the romance portion of the book is the underlying story, I loved that there was so much more to this book. Hadley is dealing with her dad leaving and remarrying and her mom dating too. A lot of the story is told in a serious of flashbacks, that help you understand Hadley’s feelings in the current day. The book wraps up very neatly in the end, but I didn’t feel like the happy ending it was out of place. 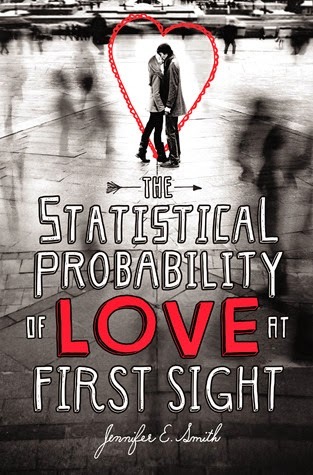 The Statistical Probability of Love at First Site is a light, easy read that was simply a feel good, happy book. It was the perfect book for a bad day, you simply can’t read it without smiling. When the elevator stops between the 10th and 11th floors of their apartment building during the NYC blackout, Lucy and Owen become friends thrown together through odd circumstances. They spend the dark night exploring the city and eating melting ice cream. The spend one night marveling that New York does have stars above it before being flung far a part, but it is still a night they both of them can’t seem to forget. The first thing I wanted to do after I finished The Statistical Probability of Love at First Sight was read another Jennifer E. Smith book. 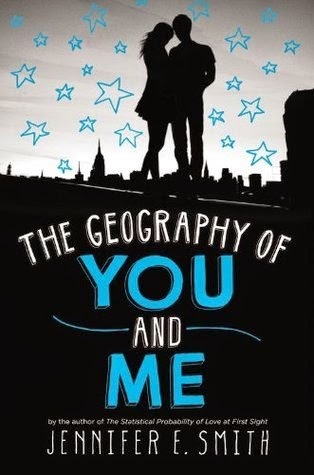 It was so cute and happy that I picked up The Geography of You and Me less than an hour after I finished the first one. At first I was kind of disappointed, it seemed like the same story, boy and girl meet after being forced together in a small place for a certain amount of time, but that is where the similarities ended. Shortly after meeting, Lucy moves to Scotland and Owen moves out west with his dad. They communicate usually only through brief postcards that they mail each other with silly sayings on them and they both try to move on in other relationships. I was surprised how much I loved a book in which the two main characters spent most of it away from each other. I liked watching the characters work through their own feelings and problems. It felt more real that way. The book is of course, idealistic and sweet, but that is what makes it so charming. I really liked it as a carefree easy read and reading this book was the first time I was glad I had read Bartleby the Scrivener, now that is something. Sounds like a very interesting book. This is something my wife would really get into. Sounds like a very interesting book, I should give it a read sometime. This does sound like a fun, fast read. I would also like that it takes place in a 24 hour span, with a little romance. Thanks for the recommendation! These both sound like fun books for some good summer reading! Thanks. Sounds like an interesting book. Thanks for sharing it. That sounds like a great book. I will have to add that to my reading list. This book sounds like a fun read. One that I could get into and start and finish reading in a weekend! They sound like good weekend reads. I've been doing audiobooks lately. I'll have to see if they're available in that format. Smith sounds like a fun author. I will have to look into her books. Thanks for sharing! Thanks for the recommendation. It actually sounds like a book I might actually read! Reading your review of that first book gave me chills. It's already on my to-do list! Thanks!! This sounds like what I need to read next. The one I'm reading is pretty heavy. I will like the change! These books sound like really good reads! The stories both intrique me. One for it's short timeline and the other for the distance between the characters. Both books sound like a perfect summer read for the beach! I must put them to my to read list! Both of these books sound good. Love these kinds of stories.